There is one area of the law that has seen a dramatic sixty percent increase in litigation during the last decade. While this may at first glance seem to be a boon for paralegals, the subject matter of the lawsuits may make you think twice – employment non-compete lawsuits. According to non-compete attorney Brian Kindsvater, employee non-compete are void as a matter of law in California, but in almost all other states they can be enforced. It is often reported the average employee will change jobs at least six times during their working career. 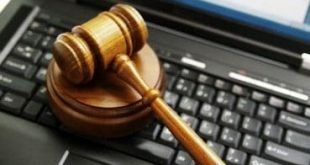 But what is not said is whether the employee is advancing or moving to a desirable job, or whether they are having forced resume breaks while being unable to work in a paralegal job. These concerns are caused by non-compete agreements. A non compete generally says if you work for one company and your employment ends, either from your decision or the decision of your employer, then for a period of time you cannot work for a competitor. For example, if you are working as a paralegal for a law firm in Washington, that for one year after your employment ends you cannot work as a paralegal for any of the law firm’s clients or another law firm in the state. Most states give lip service to only enforcing reasonable employment restrictions. The problem is what is “reasonable” requires a lawsuit, argument, discovery, legal motions, and then for a judge to decide. All of that costs money and when it comes to money the scale is usually tipped heavily in favor of the employer. If the employer is a law firm the matter is essentially free for them to litigate, but it may cost the paralegal many months worth of wages. If you are faced with signing a non-compete you will want to evaluate whether you want that job, what the scope of the restriction is, and whether you can negotiate narrower terms. One concern with non-compete terms is the employer often has little incentive to be reasonable in drafting the contract. Broad terms rule the day and you will often see a disclaimer term stating that if anything is too broad or illegal that a judge has the ability to redraft and narrow the terms to make them reasonable and lawful. When that happens there is no penalty to the business for drafting an overly-broad term, and the employee never knows what is actually enforceable until there is a lawsuit and a final ruling by the court. This has the effect of freezing many employees out of jobs even if the noncompete is ultimately found not to be enforceable. It also makes prospective employers wary about hiring someone who may cause them to be brought into a lawsuit. In some states professionals such as attorneys are exempt from non-compete restrictions so as not to interfere with the attorney-client relationship. Paralegals, though, have no such professional protection. It is employee beware. Think long and hard before signing a non-compete. There are many employers who do not require such restrictions. You can get more tips about non-compete and a variety of other legal issues on Brian Kindsvater’s twitter feed. 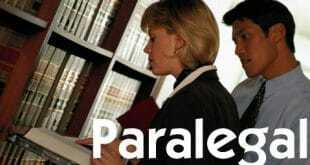 Previous Paralegal Certification NYC: How Much And How Long?